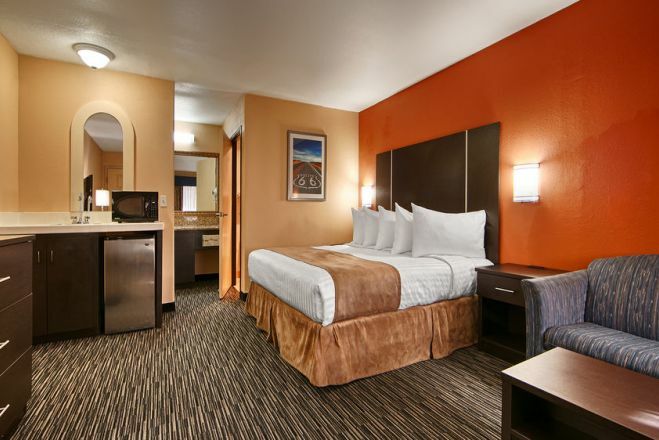 Best Western Desert Villa Inn Make your day hotel stay enjoyable and comfortable by booking your day stay at Best Western Desert Villa Inn. 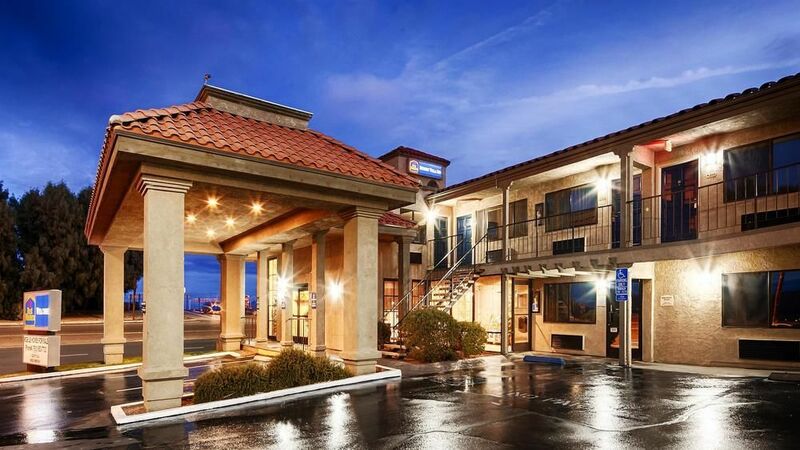 The Best Western Desert Villa Inn located on famed Route 66 is a great day stay hotel to get all your kicks. Ensconced in the California desert, this half day stay hotel is a jewel of an oasis for daytrippers and long-distance travelers alike. Exercise facility and outdoor swimming pool gives folks weary from their journey ample opportunities to get rejuvenated. With amenities like microwave ovens, refrigerators, irons/ironing boards, and HBO, ensure that your experience is akin to having all the comforts of home. 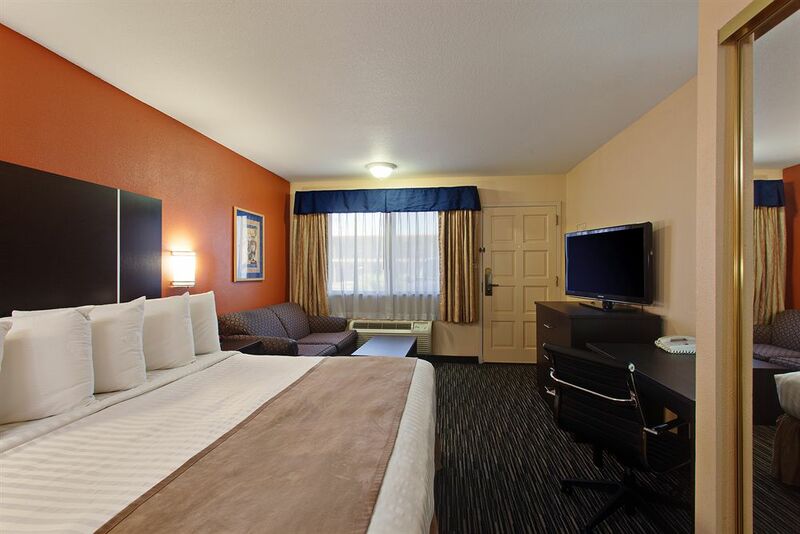 Each room is outfitted with work space fit for a king – a coffee maker, over-sized desk, multiple outlets, free internet access and an ergonomic chair, along with the availability of fax and photocopying services, enables folks traveling for business the ability to get things done efficiently. 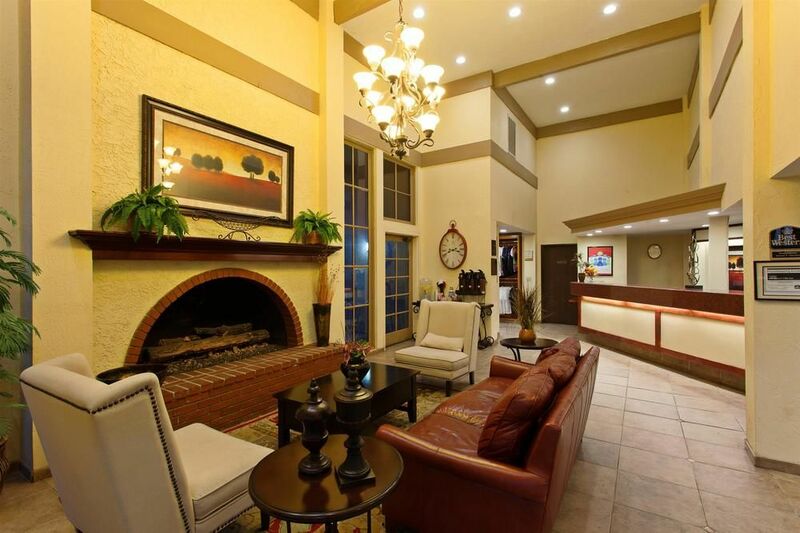 For those traveling for pleasure, the surrounding area of this dayuse hotel offers something astonishing at every turn. It’s a great home base for a riveting daycation. It’s also very close to a major military base – those traveling to visit friends and relatives stationed at the U.S. Marine Corp Logistical Base will find the accommodations five star for sure. 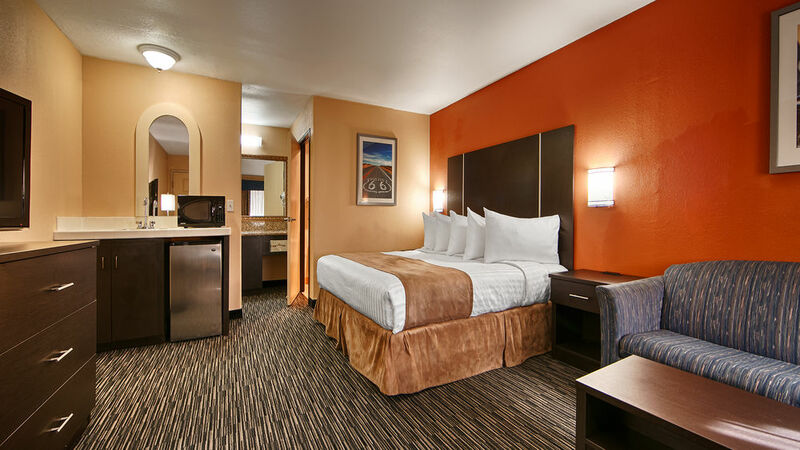 In addition to being situated conveniently close to the Marine base, this hotel by day is also close to Ft. Irwin National Training Center. But there is so much more in the surrounding area - from the wonders of the Mojave Desert to the excitement of exploring the Calico Ghost Town - anyone interested in history or nature will love this daycay location. There is also plenty of indoor fun to be had: there’s a shopping mecca, the Route 66 Mother Road Museum, and the Western America Railroad Museum, all just a few miles from same day hotel. Castle Mountains National Monument California – This is nature at its best featuring some of the Mojave Desert’s distinctive flora and fauna. The 20,000-plus acres is home to Joshua trees, sweeping vistas and unusual grasslands creating the backdrop for big horn sheep, eagles, desert kit foxes and an assortment of lizards and colorful birds. Open daily and with free admission, there’s no reason not to hike, bike and bird watch to your heart’s content. Mojave River Valley Museum – For the budding archaeologist, or anyone interested in history, the museum is another fun and free day activity. Dedicated to preserving the heritage of the Mojave River Valley, the facility hosts lectures in addition to mounting exhibits. Their archive of local newspapers spans over 100 years and contains thousands of historical images. The Desert Discovery Center – The 7,000 sq ft facility which is comprised of a partnership between several nonprofit organizations and government and educational agencies, is dedicated to education and preservation of the local area. It houses the second largest meteorite in the country, which weighs over 6,000 pounds, along with a native plant and animal habitat where visitors are invited to check out art installations and pal around with the resident tortoises. 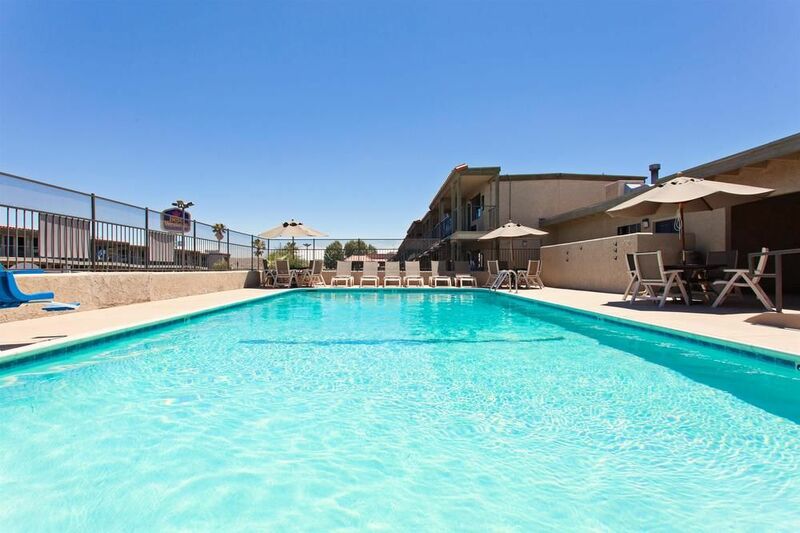 Outlets at Barstow – Take a break from all the fun in the sun with a quick jaunt to this shopping mecca. Located only five miles away from the half day stay hotel, dozens of stores offer a plethora of designer items and more. From Banana Republic to Wilson’s Leather, it’s chock full of high-end brands boasting discount price tags. Fully accessible rooms and facilities – Mobility is a top priority at this facility designed to keep all their guests happy and safe. Free parking – Parking is free for all visitors, including truck/RV parking. 24-Hour Exercise Facility – Includes treadmills, stair steppers, and exercise bikes offer a variety of cardio any time of day. Swimming pool – Top off any half day stay with a plunge into their crystal clear blue huge pool.